President-elect Donald Trump has denounced “ climate change (global warming) bulls—-,” promised to dismantle the U.S. Climate Action Plan and Clean Power Plan and “ cancel” the Paris climate agreement. Now he claims an “ open mind” when it comes to climate change. 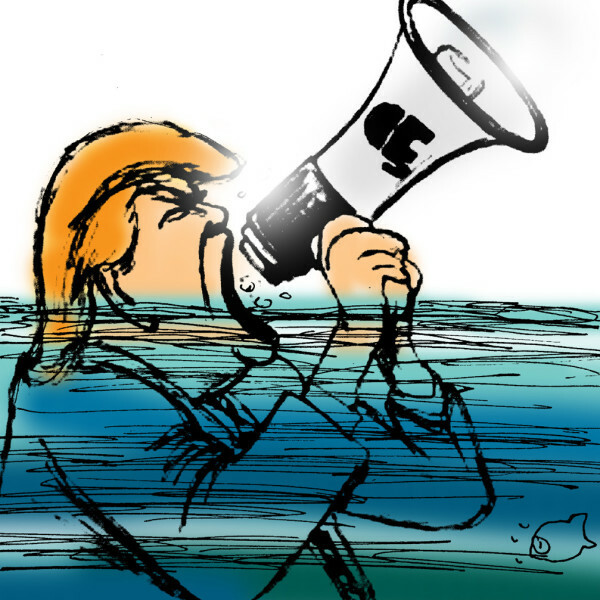 Trump’s tweets notwithstanding, it is a fact that increased carbon emissions since the dawn of the industrial age cause higher air and water temperatures, higher sea levels and ocean acidification. After more than a century of climate science, no one should doubt that. Water temperatures in Gulf of Maine are increasing at a rate faster than 99 percent of the planet’s ocean waters. As a consequence, Maine is seeing its fourth annual closing of the commercial shrimp fishery, putting fishermen “ on a collision course with zero income”; lobsters will struggle to survive in increasingly warmer waters; salmon recovery is ever more elusive; cod have been unable to rebound from overfishing; and an oyster farm in Damariscotta is seeing severe problems in growing larvae in its hatchery due to ocean acidification. In September, the U.S. Department of Agriculture declared five Maine counties disaster areas due to the ongoing drought. And thanks to warmer weather ticks are besieging, and killing, Maine’s moose. We’re confronted with a perfect storm: the trust of people across the world in America’s leadership on climate change, the damage climate change will continue to wreak and the president-elect’s climate denial rhetoric. How can we navigate it? We have some suggestions. First, we could find common ground on the elimination of federal fossil-fuel subsidies. The Trump administration’s “climate denier-in-chief,” Myron Ebell, works for the Competitive Enterprise Institute, which has “ long opposed federal subsidies to oil and gas companies.” The Trump administration would gain more than $20 billion per year by eliminating them, enough to build a wall or two every year. Eliminating these subsidies, however, would not be enough to create a free and informed energy market. The price of fossil fuels does not reflect the huge costs of carbon pollution in warming the climate and in rates of asthma, emphysema, cancer and other diseases. A carbon fee and dividend could create more than 2 million jobs by recycling revenue into the economy and yield a healthy reduction in carbon emissions. Finally, Mainers can strive to ensure that all of our representatives in Congress approach the problem of climate change armed with facts, an open mind and a clear conscience. The position of three of Maine’s four representatives is consistent with Maine’s tradition of bipartisan leadership on the environment. Rep. Bruce Poliquin has been labeled a congressional climate denier, and he has never publicly disavowed that label. He won re-election without disclosing whether he believes man-made climate change is real, whether he is concerned about its impacts and how he proposes to respond. His campaign website didn’t list climate change or the environment under the issues on which he had a position. The only time the subject came up was when a viewer asked in the WAGM televised debate whether he supported a carbon fee and dividend, and if not, what was his solution to climate change? Poliquin responded that he didn’t support a carbon tax, and that he didn’t “think the greatest threat to our country, or to the planet, is climate change,” but instead terrorism. A recent analysis demonstrates that climate change is far more deadly than terrorism, and there is no reason we cannot move on both fronts. Oh, and did we mention that since 1980, every decade has been warmer on average than the previous one, and that 2016 is looking to be hotter than any other year, since records have been kept? Harold W. Borns Jr., Ph.D., is a glacial and Ice Age geologist, professor emeritus of the Climate Change Institute and the School of Earth and Climate Sciences of the University of Maine in Orono, and he is the founder of the Climate Change Institute (formerly Institute for Quaternary Studies). Sharon S. Tisher, J.D., is a lecturer in the School of Economics and the Honors College at UMaine. She is a member of the Maine chapter of the Scholars Strategy Network, which brings together scholars across the country to address public challenges and their policy implications. Members’ columns appear in the BDN every other week.